Metal body design? Nope. Eye-wateringly crisp 2K+ display? Nuh-uh. Overhauled Android interface? Only a little. After all the rumors and hype, the Samsung Galaxy S5 revealed with much fanfare at Mobile World Congress on Monday is more an iteration on the Galaxy S line than the fresh, whiz-bang package we’d all come to hope for and even expect. Yes, it has a fingerprint scanner, and a heart rate sensor, too, not to mention Android 4.4 KitKat and a roster of muscular specs. From what I’ve seen, the Galaxy S5 shapes up to be an excellent device that will keep Samsung at or near the top of the smartphone heap. 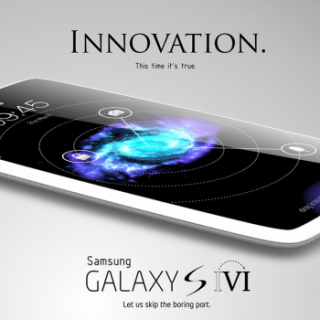 Yet the been-there, done-that design isn’t novel enough to trample rivals the way Samsung might hope. Samsung still has a ways to go to re-inspire jaded followers and fans. And those who value luxury materials and crafted designs over Samsung’s stamped-out phones should keep the door open for Apple’s iPhone 6 and HTC’s forthcoming sequel to the beautiful HTC One. Citigroup Capital Markets has issued a report to its customers claiming that Apple plans on ordering 90 million units of the Apple iPhone 6 from contract manufacturer Foxconn during 2014. An analyst at the firm, Wei Chen, says that Apple will increase orders for its iconic smartphone by 24% over the number it ordered in 2013. Last year, Apple ordered 13% more iPhone units than it did during the previous year. While Apple is continuing to show growth in the number of iPhone units it will take delivery of this year, growth of smartphones globally are forecast to slip to 28% in 2014 from 40% last year. Such shipments in markets considered “mature” are predicted to grow 4% this year, down from 5% last year. The latest speculation has the Apple iPhone 6 launching as soon as July, although that is based on an analysis of the supply chain by Mizuho Securities analyst Abhey Lamba. This analyst expects the Apple iPhone 6 to be released in July with a 4.7-inch screen, followed by a fall release of a 5.5-inch Apple iPhone phablet.